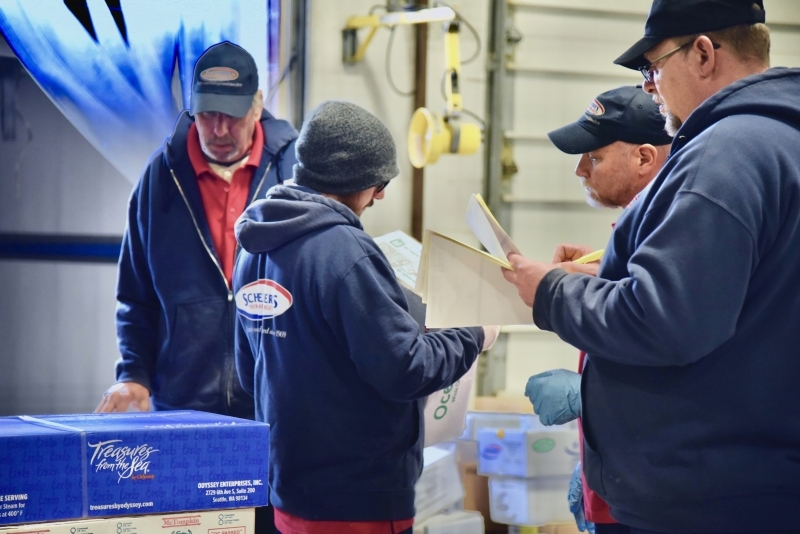 Seafood and meat distribution is a people business; it’s built on relationships. So customer service is as simple as asking ourselves one question: “How would we treat a friend?” The answer? In-depth knowledge of your needs. Unwavering dedication to your business, and of course, premium-quality seafood and meat every time. If we don’t have what you’re looking for, we’ll go out and get it for you. We’re in this for the long haul with you. Schneider’s Seafood + Meats provides a wide variety of fresh, frozen, live, and smoked products as well as dry goods. We provide same-day delivery service of meat and seafood throughout Western New York, Monday through Friday and select areas on Saturday. We require a minimum order of $375 for delivery service. Same-day delivery is available and orders must be received by 8 a.m.
Customers may place orders by calling our sales staff during the day or by leaving a message on our voicemail system after hours. Regular office hours are Monday through Friday 7 a.m. to 4 p.m. and Saturday 7 a.m. to 11:00 a.m. You are invited to visit our sales warehouse and processing facility. Complete the form below and someone will be in contact with you shortly. We are dedicated to bringing you the very best.